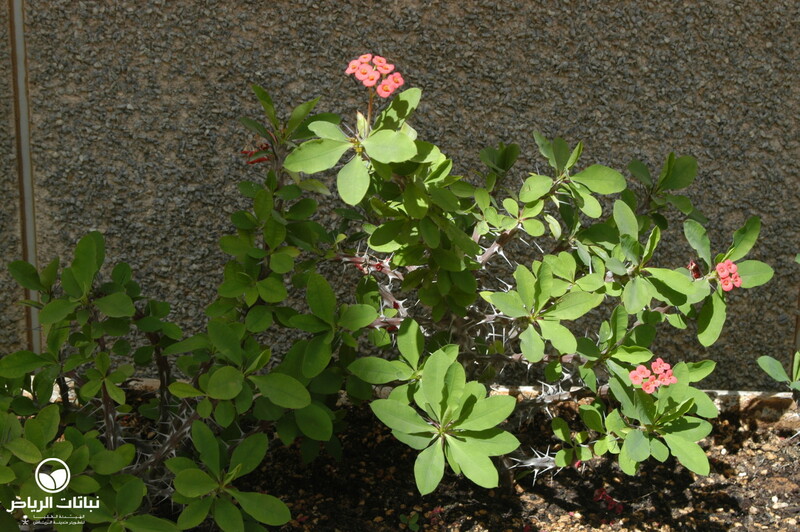 This succulent is native to Madagascar: it is often seen in Arriyadh in planters, usually with the intention of forming a barrier. 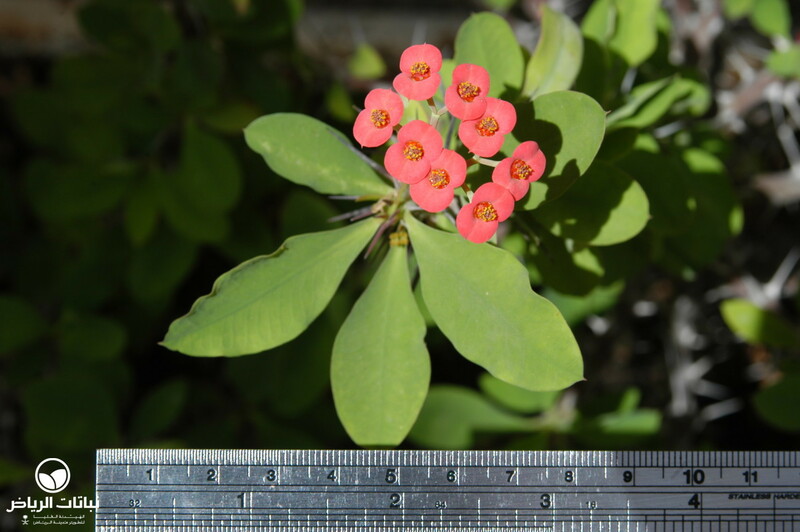 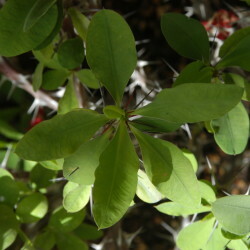 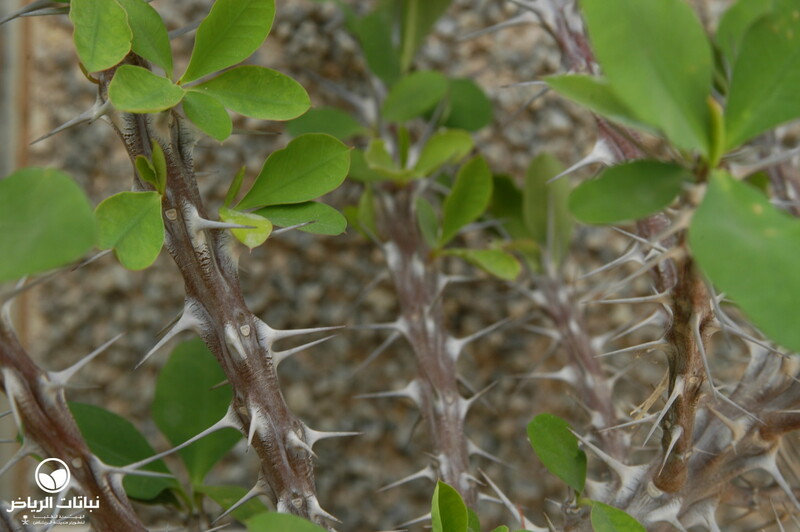 Its edged stems are fleshy and able to store water while the foliage is not thickened. 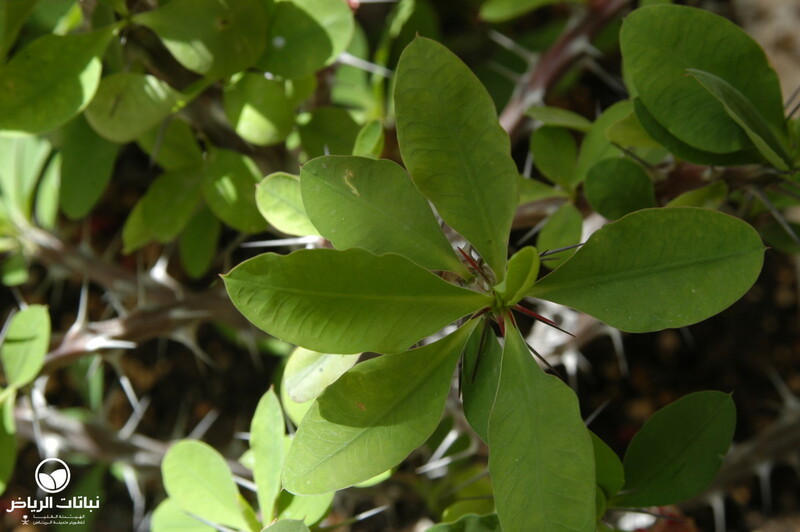 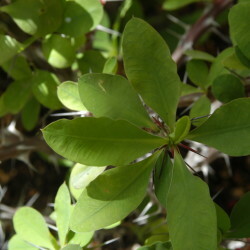 The obovate, dark-green leaves are found on new growth only. 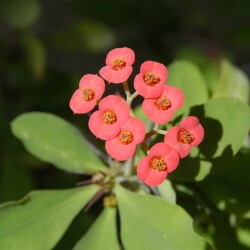 Male and female flowers are borne on the same plant, but both are inconspicuous. 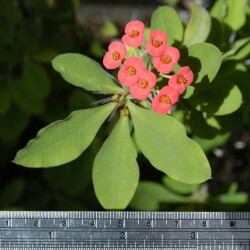 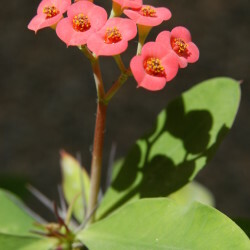 Nevertheless, a burst of colour is shown in spring by bright-red bracts. 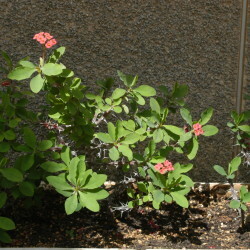 Sparse flowering appears during the other seasons too. 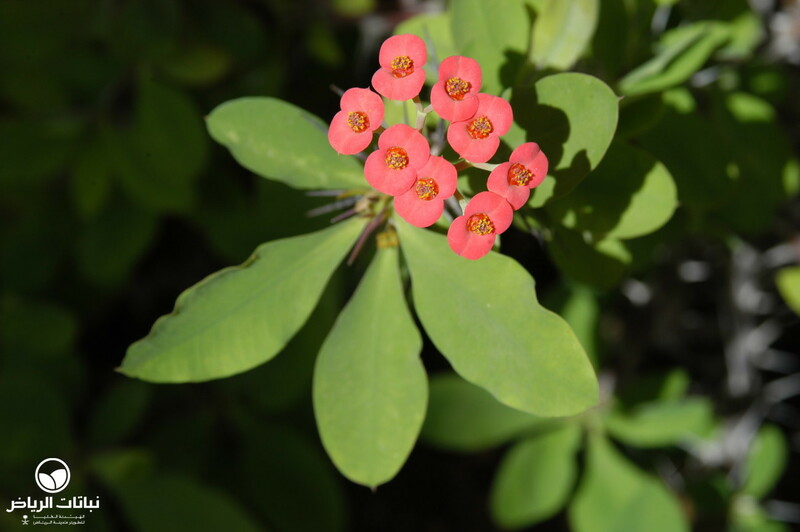 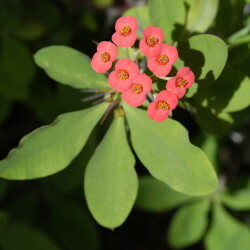 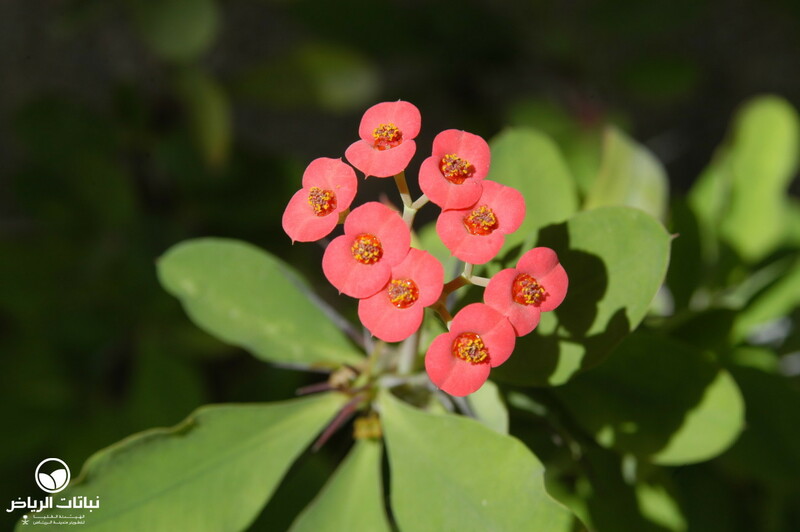 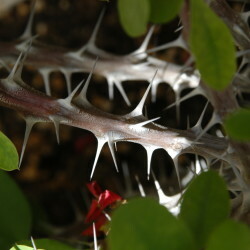 It is attractive all year round for its strange appearance of thorny shoots that made it deserve the common name Crown of Thorns. 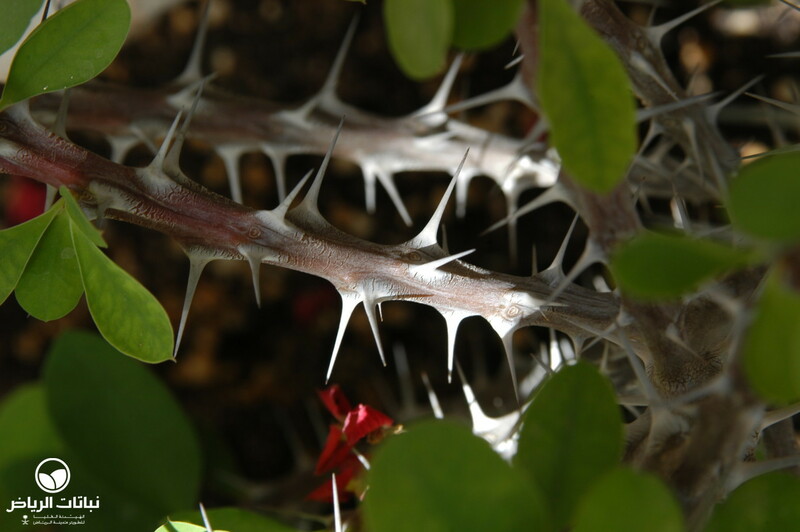 Injured plants exude a milky, poisonous sap that can irritate skin. 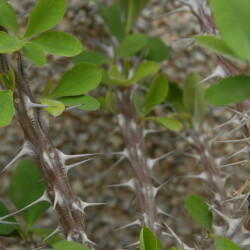 Pruning is not necessary, but is carried out to multiply the plant by cuttings. 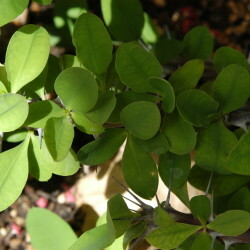 For this purpose, tips of 10 cm length are cut and placed in water until the sap stops flowing. 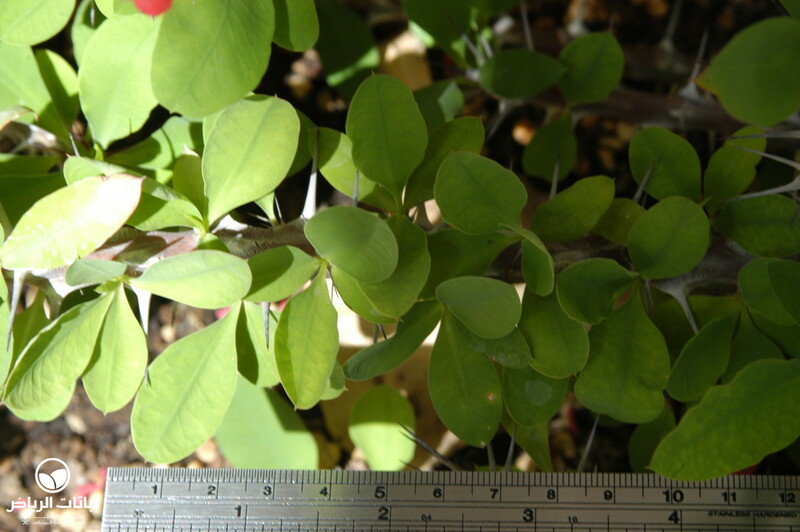 Afterwards, they should be allowed to dry before being dipped in rooting hormone and placed in a mix of sand, perlite and humus. 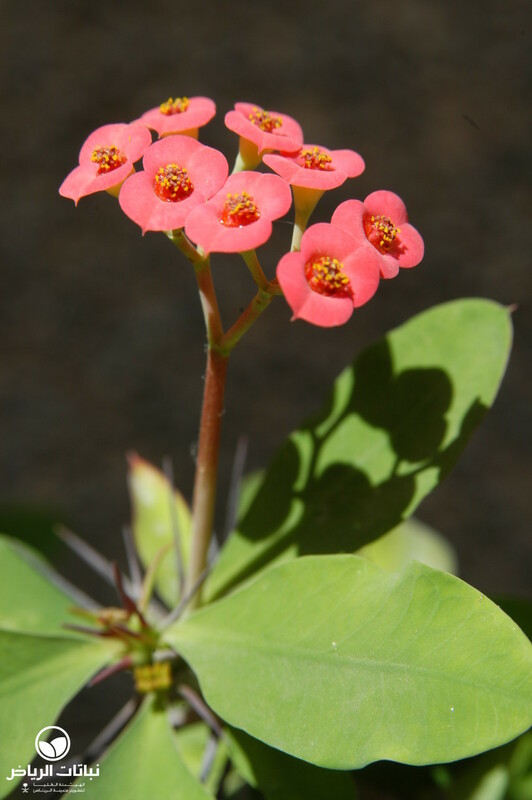 Excellent drainage is essential for mature plants too, since both waterlogging and overwatering by sprinklers kill the plant, especially in winter. 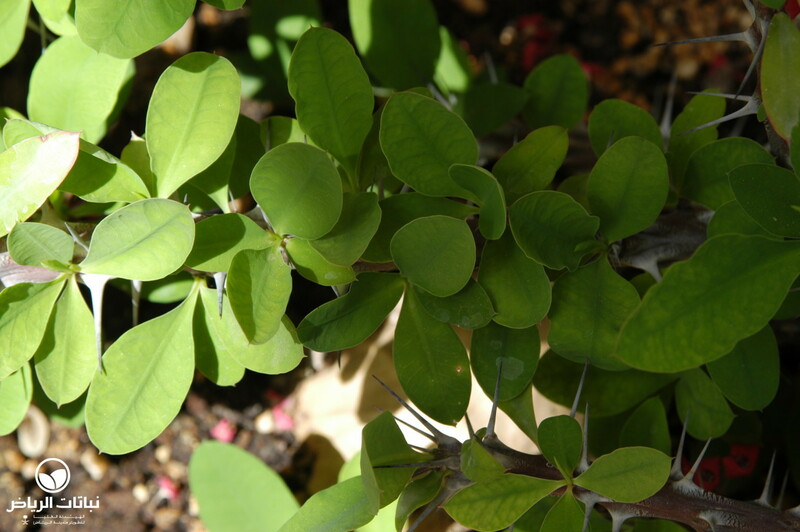 Partial sun suits it best and extends the lifespan of the foliage. 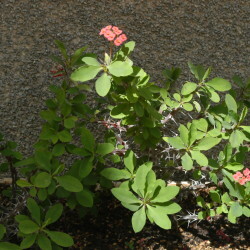 Drought is tolerated when the plants are established, but it also limits the endurance of the leaves. 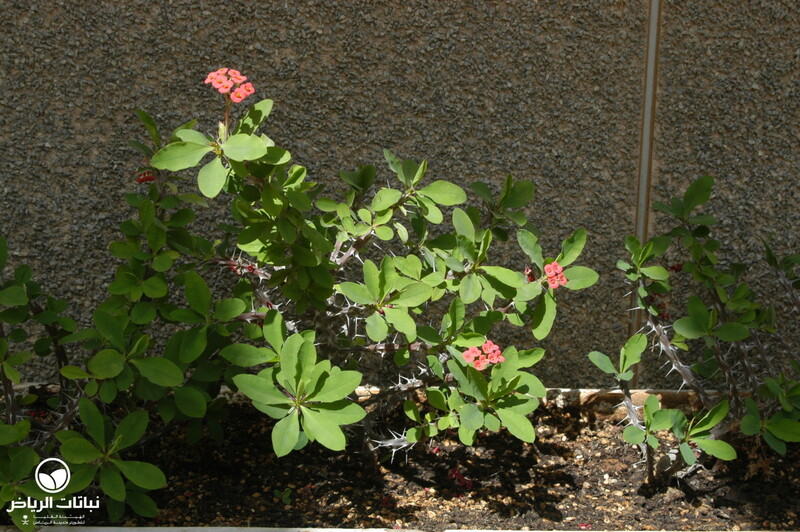 Slow-releasing fertilisers can be applied in spring to ensure a healthy appearance and an impressive floral display. 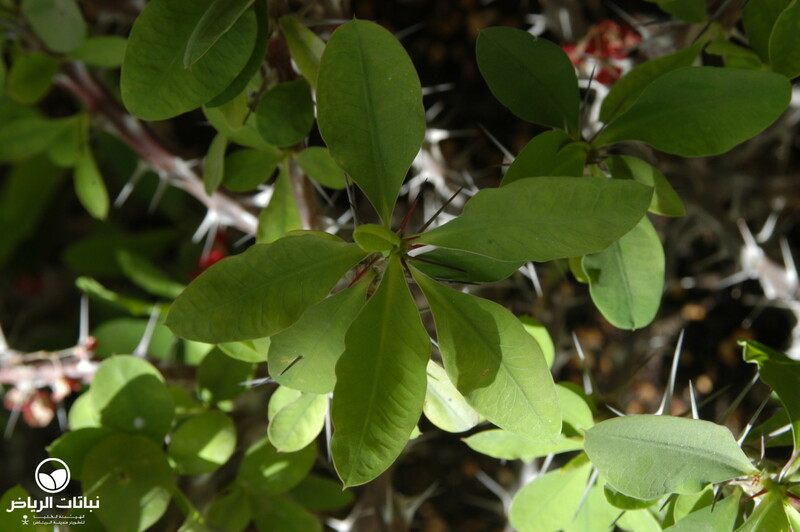 Scale insects may infest plants on inappropriate sites. 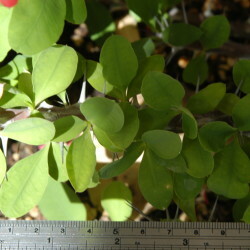 Frosts are not tolerated and immediately damage the foliage.